When it comes to your business premises, there is a good chance that you are going to want to make sure that they are secure. This could be to protect stock, protect equipment, protect employees and sometimes simply to protect the premises themselves. There is a variety of ways that you can protect your business. One of the most popular choices are Mobile Patrols. But what are Mobile Patrols and why might they be a great choice for your business? Some companies decide to have a security guard on their premises at all times. These will be static security. Mobile Patrols on the other hand are not always based at your premises. They will visit at agreed or random times in order to check over the interior and/or exterior. They can also be asked to visit at random times throughout the day or night, which is ideal if you are concerned about energy wastage, vandalism, crime or perhaps even unwanted occupants. What are the benefits of having Mobile Patrols? Not everyone likes the idea of having a permanent security presence in the building. However, they still want to ensure the assets of the business are safe. This is where a Mobile Patrol is a great idea. They offer all the peace of mind that security guards bring, however, they are only found at the premises at agreed intervals. They can check the indoors and outdoors of the building, or buildings, making sure that everything is safe and secure. A great choice if you have lone workers that may be in the premises early in the morning or late at night. Why choose WINNS Services for your Mobile Patrol needs? As a professional security company, one thing that you can be sure of when you arrange a Mobile Patrol with WINNS Services, is that you will receive 100% top quality service. Every member of our security team is trained to the highest level and work with an enthusiasm and a drive to provide excellent levels of customer services too. Our office staff are also fully trained, and they can help you to decide which security options are going to be the best choice for you. They will discuss your requirements, advise on the options open to you and help you to come to an agreement on regularity and timings if you are looking to book a Mobile Patrol. 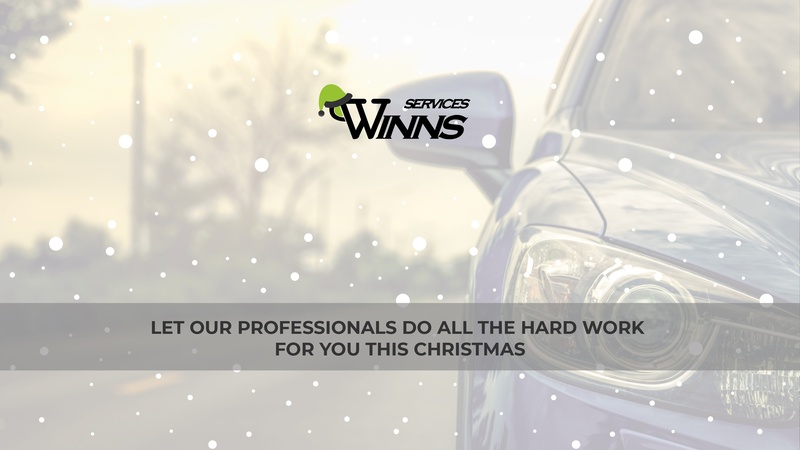 Peace of mind is one thing that you can be sure of with help from WINNS Services. As experts in the field of security, we can help you no matter what you need. All to make sure that your business, your livelihood and those who work with you are safe whilst they are doing their job. Previous Post Give Your Windows Some TLC This Christmas!